Tipton, West Midlands, UK: Articulated forklift truck manufacturer, Flexi Narrow Aisle has launched a European version of its Flexi VNA AC truck. A four-wheel, electric-powered articulated truck, the Flexi VNA AC, able to work in aisles some 200mm narrower than comparative models, was first introduced to the UK market in late 2010. 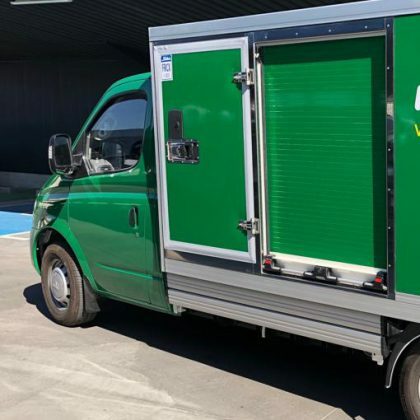 The new version of the Flexi VNA has been adapted to meet the demands mainland European users and has a narrower chassis than the UK version, while electric motor and hydraulic noise has been reduced making the new Flexi VNA AC “the quietest truck in its class”. Digitally controlled on-demand independent power steering has been introduce, while a low cost fork positioner is also available as an option. Like the original UK model, the European version of the Flexi VNA is designed to offer the fastest, safest work cycles with optimum stability in aisles as narrow 1600mm wide, the company says. Flexi Narrow Aisle has launched a European version of its VNA AC truck. The European Flexi VNA AC is available through Flexi Narrow Aisle’s European distributor network in Spain, Portugal, France, Germany, Italy, Benelux, Slovenia, the Czech Republic, Denmark, all Nordic territories and Eastern Europe. John Maguire, sales and marketing director of Flexi Narrow Aisle, says: “The Flexi distributor network is well established in Europe: we have been successfully delivering articulated trucks to European customers for over a decade and our involvement in the European market over this time enables us to understand exactly what our European customers need from their trucks. 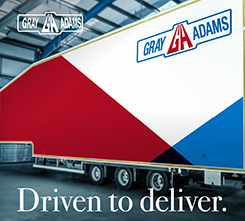 “The last five years have seen tremendous growth in demand for Flexi articulated truck technology from European logistics service companies, retailers and manufacturing companies. 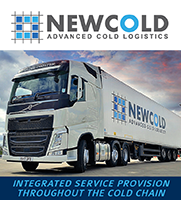 We have recently fulfilled orders valued at over euro 300,000 for a French logistics services company and another for a leading German supplier to the automotive industry.